Chief Minister Smt. 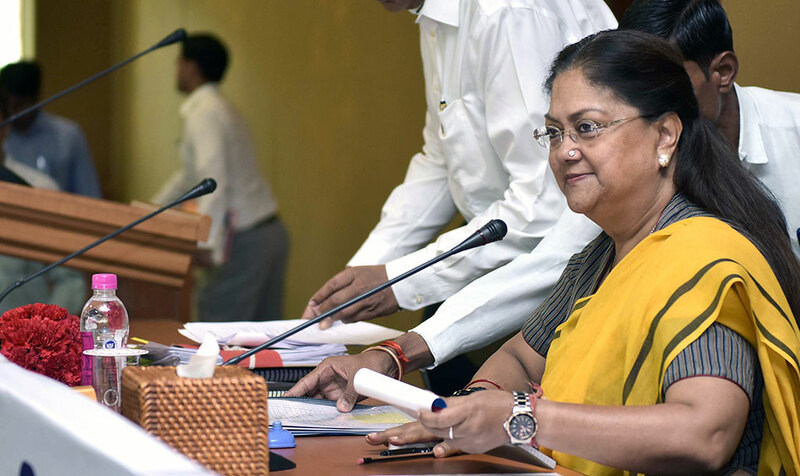 Vasundhara Raje has said that with honesty, hard work and commitment the state government was successful in delivering good governance to the public. Now, works needed to speed up further for completion within time limit and ensure that rest of the promises were kept, she said. Smt. 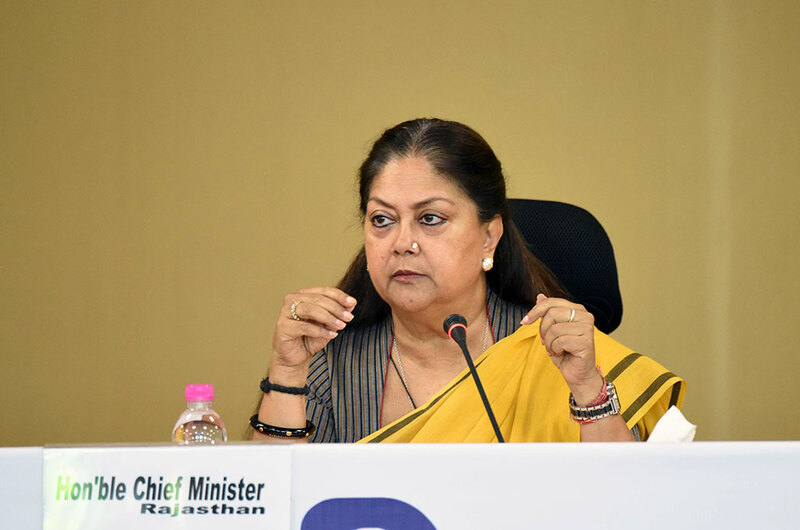 Raje said that satisfaction of the public was the best parameter of good governance and it was observed on the basis of ease of grievance redressal. “I am happy that we have fulfilled this parameter,” she said. 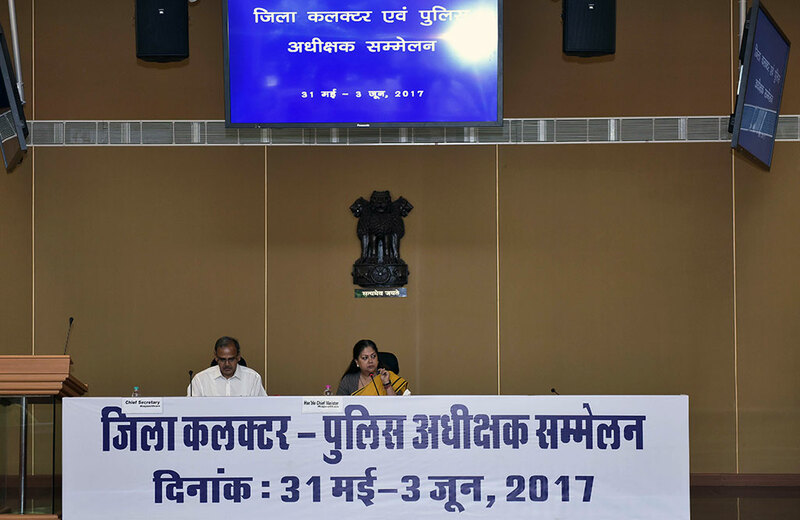 She was addressing the inaugural session of the Collector-SP Conference at the CMO on Wednesday. The CM said that besides effective orators, the officers should also be good listeners. Then, the commoners would be able to state their grievances to them. She said that the district administration had to be quick and alert for their routine duties so that good interaction could be ensured between the government and the public. She said that instead of talking about dearth of resources, maximum results should be ensured with available limited resources. Smt. 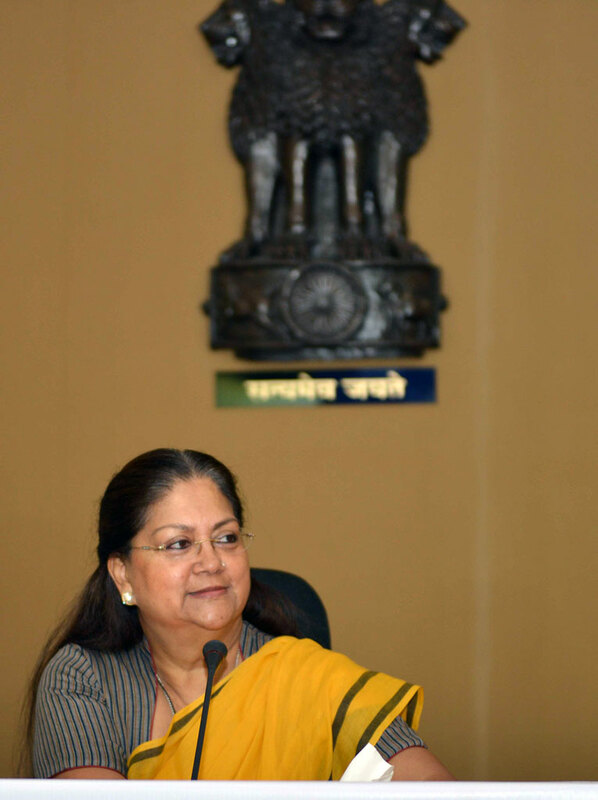 Raje asked the district collectors to identify talented officers and employees and utilize their talent for sensitive and effective governance. She said that the innovative practices and new initiatives should be shared with the Chief Secretary to implement these in other districts. Such ideas with potential could be suggested to the Centre and the other states as well, she added. 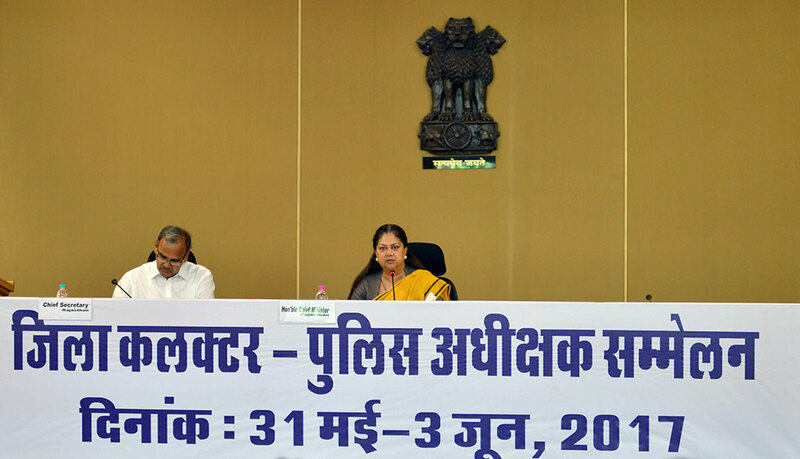 The Chief Minister said that many young officers of Team Rajasthan were well-verse with use of technology, while senior officers’ experience would be an advantage for extending good governance to the public. She urged the collectors to be receptive to new ideas and think out of box. She said that as per the parameter set during the last Collector-SP Conference in November 2016, Chittorgarh, Hanumangarh, Pali, Ajmer and Bhilwara had topped the districts respectively in effective implementation of central and the state government schemes. She hoped that the other districts would also progress in executing the government schemes and programmes effectively and adopt novelty. Smt. 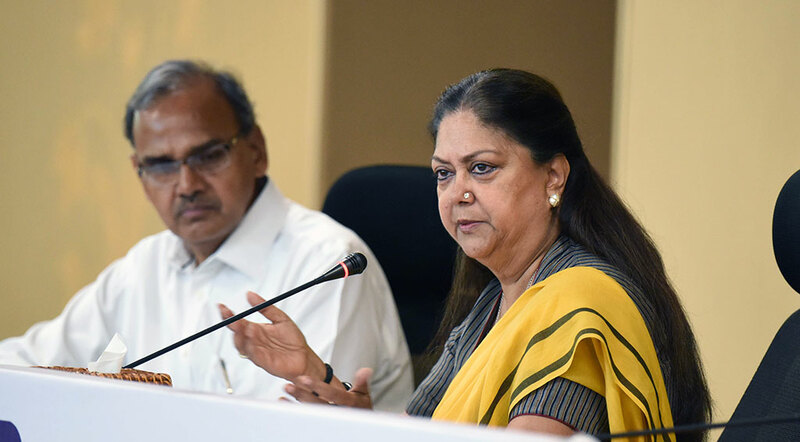 Raje said that the Collectors should sit with the officials of various state departments to coordinate and resolve the pending issues. Before this, Chief Secretary Shri OP Meena sketched an outline of the Conference. Members of the Council of Ministers, Parliamentary Secretaries and senior most officers of different departments are participating in this convention.